Josh Elliott is fed up with overpaid CEOs. As the owner of a Connecticut natural foods market with 40 employees, he says he could never justify pocketing hundreds of times more pay than his employees. Skyrocketing CEO pay and inequality last year motivated this 32-year-old businessman to launch a successful bid for a seat in the Connecticut General Assembly. Elliott hit back hard on the campaign trail against right-wing claims about high taxes driving wealthy job creators out of his state. Since taking office, Rep. Elliott has co-sponsored several bills aimed at narrowing our economic divide, including two that directly address the CEO pay problem. One of these bills mirrors a Portland, Oregon law enacted last December that imposes a tax penalty on publicly traded corporations with CEOs making more than 100 times their typical worker pay. These laws don’t set a ceiling on how much corporations can pay their executives. But they do provide an incentive to rein in excess CEO pay and lift up workers at the bottom end. They can also generate significant revenue for urgent needs like funding pre-school programs or fixing roads and bridges. Legislators in Illinois, Minnesota, Massachusetts, Rhode Island, and San Francisco are also considering CEO pay tax proposals. Elliott’s other bill would use the power of the public purse to reduce pay disparities. If enacted, companies with CEO-worker pay ratios of more than 100 to 1 wouldn’t qualify for state subsidies and grants. That would help ensure taxpayer dollars are used wisely. 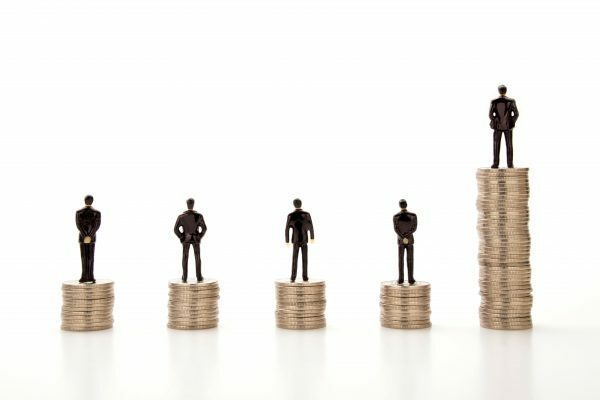 Research has shown that narrower pay gaps make businesses more effective by boosting employee morale and reducing turnover rates. Elliott pointed out that he’s able to go to the state capital in Hartford four times a week when the General Assembly is in session because he trusts his managers to do a good job running the market in his absence. “You need to have good employees to make money,” he told me. While efforts to narrow CEO-worker pay gaps are spreading around the country, Republicans in Washington are working to undercut them. How? By killing a federal disclosure law requiring corporations to report the gap between their CEO and median worker pay. This data, scheduled to become available in early 2018, would make the kinds of policies Elliott is promoting much easier to administer. But overpaid CEOs — and their lobbyists — want to throw up as many obstacles as they can. The massive Financial CHOICE Act, which just passed a House committee, would eliminate the pay ratio disclosure regulation, along with loosening other regulations on big Wall Street banks. It could come up for a full House vote soon. But as the debate shifts, Elliott is confident that bold proposals for change will eventually gain traction.